This is the first book I have read from Aprilynne Pike. The storyline was really good. It contains mystery, secrets, powers and romance. I was hooked and asking myself questions throughout. The cover to this book is absolutely gorgeous. It really draws you attention and the font is really clear. Definitely one of my favourite covers. When reading the synopsis, it sounded a lot like the book Unremembered by Jessica Brody, so I was really sceptical about starting the book because of that. Tavia - Tavia I found average. There was nothing too special about her. She was an average girl with no clues about her past. Jay - Jay lives with Tavia from the beginning, so he seems like someone who cares about Tavia. Benson - Benson was a good character as he really cared for Tavia. He was willing to travel with her. I can't believe what he did near the end though! Quinn Avery - Quinn is a mystery. You can see he loves Tavia, even if Tavia doesn't understand why. Elizabeth - Elizabeth is the shrink that is helping Tavia. She wasn't a major character, but I felt like something was up with her as she was acting strange. Logan - Logan we only meet near the end of the book, but even so, I now want to properly meet him. The story is written in first person and the chapters are short. I like books with short chapters. This book worked well having it written in first person. The writing style is very gripping. 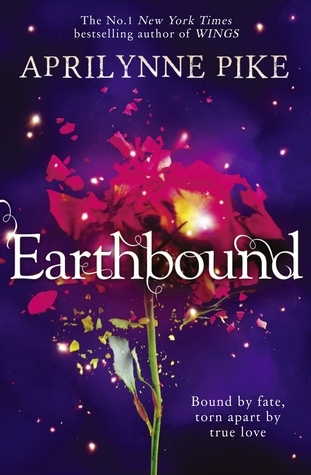 Earthbound is a great title to call the book, as it's mentioned in the book and is a big part of it. When reading the beginning, it was really interesting and I wanted to know more. The ending has me asking questions, and because of that I want the sequel. Overall I gave this book four stars because it was a great read, however I felt there was a little too much romance involved. Also in the story there is a Harry Potter reference which I liked.